Ten wrestlers with different fighting styles and individual special attacks are available. They are controlled with three buttons; one for jumping, one for attacking and one for pinning. When close to your opponents, you can grab them to perform various moves ranging from ordinary attacks to body slams to throws. Since the action takes place in a ring, it is also possible to climb the turnbuckle or use the ropes to your advantage. You can also leave the ring for a limited amount of time to fight with different weapons that can be found outside the ring. Apart from a standard Single Match mode, the SNES version also features a Battle Royal mode for up to four players. 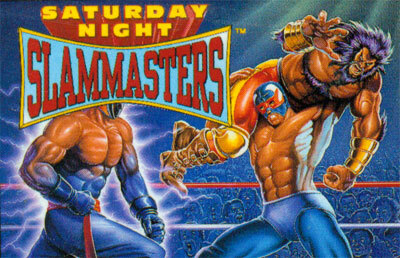 This mode is not available in the Genesis version, which features a Death Match mode that can not be found in the SNES version. A Death Match is a no rules match in which weapons can be used used and the rope is replaced with barbed wire.